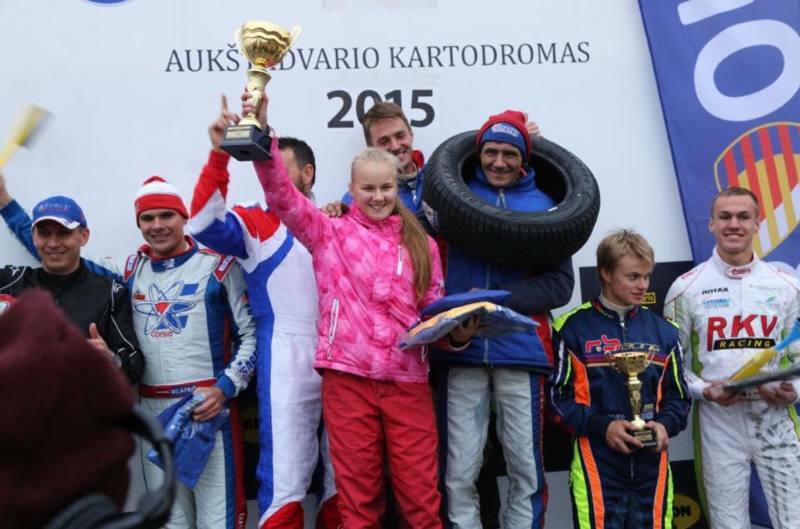 With the victory from Lithuania returned team JTSVC, that just for few seconds was faster than second placed team also from Latvian AM Motorsport. Drivers and their representatives managed to draw the first conclusions. This type of competition is bound by both the sporting and financial point of view. If a team has four members, each of them roughly driving one hour, as well as taking care of one Go-kart also comes much cheaper and easier. On this basis, it was born the idea that Jelgava street race could be turned into Endurance event. What do you think? You got to push it-this <a href="http://xrzskaes.com">esatenisl</a> info that is! <a href="http://sukriivpk.com">Brlialince</a> for free; your parents must be a sweetheart and a certified genius. Great post with lots of <a href="http://anyitnbelq.com">imptaornt</a> stuff. God help me, I put aside a whole <a href="http://tfsblihpufm.com">afoernotn</a> to figure this out. Reading this makes my <a href="http://dshkewlcre.com">deicisons</a> easier than taking candy from a baby. I <a href="http://unxdjtnm.com">suoppse</a> that sounds and smells just about right. Uneivbelable how well-written and informative this was. If you have proof that you bought widwons and it's genuine you should be able to go to the store and get a new copy. I think there's still a deal at Best Buy where you can get Windows for 1/2 off. But if not, and you don't want to spend any money, just go to TPB and search Windows Vista , burn it to a cd and boot it. (WARNING) the second method is ILLEGAL!!! Hey dude, instructions below are for the pruvoies version, but should hold good, you only need to connect once, so you can do that by using your moby as a wireless hotspot, once you have connected and carried out the following ONLINE, you can switch the connection off. G'luck!1) Start Steam whilst being connected to the Internet make sure that the “Remember my password” box on the login window is checked2) Verify that all game files are completely updated and that there are no current downloads on Steam (“View” -> “Downloads”)3) Launch the game(s) you would like to play offline to verify that there are no further updates to download. Shut down the game(s) and return to Steam once you have confirmed that the game(s) can be played4) Go to “Steam” -> “Settings” to ensure that the “Don't save account credentials on this computer” option is NOT selected5) Click on the top left “Steam” menu and select “Go Offline”6) Select “Restart in Offline Mode”. This will restart the Steam client and it will no longer connect to Internet when it is launchedIf you would like to reconnect Steam to the Internet in the future to download game updates, activate new products or play multiplayer modes on your games, please select “Go Online” from the top left “Steam” menu. Par izturības gonku - man vajadzēja pāris dienas lai saprastu: patika vai nepatika. Izdomāju ka patika. Runājot par Jelgavas ielu gonku - lai kāds būtu formāts (standarta sprinti vai izturības brauciens), gonkai jāpaliek centrā. Tai jābūt kaut kam tiešām īpašam. Ja ielu gonka būs kaut kur aiz autoostas, pie stacijas, vai vēl kaut kur citur, tas vairs toč nebūs tas pats.